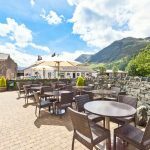 If you are looking to escape the usual distractions of everyday life whilst on holiday then look no further than the Bridge Hotel in Buttermere. Our bedrooms have no televisions, no radios or mobile phone signal. In fact, nothing to distract you from our spectacular natural surroundings. Why not give yourself the chance to take in some of England’s most beautiful scenery in full HD and with 5.1 Dolby surround guaranteed. Unplug yourself from the world, read, relax and talk to each other. * Guests booking Dinner, Bed and Breakfast include one course from each section of our evening menu. 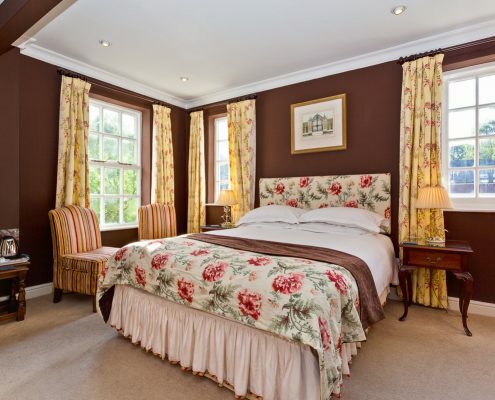 Please note, each of our bedrooms are individually designed. The picture displayed is representative only. We serve an A’ La Carte Menu prepared by our dedicated team of chefs using the freshest locally sourced ingredients. We are more than happy to cater for anyone with special dietaries (advance notice is required). Booking is required for the Dining Room and a minimum cover charge of £15.00 applies. 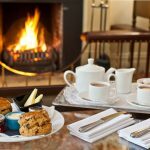 The Hotel restaurant is closed from Sunday-Thursday during our winter months (November to end of March excluding Festive season and February Half Term) but the bar is open every day for food and drinks. Don’t fancy eating in the dining room or are you looking for more casual dining? Our pub serves food from 9:30 am until 9:30 pm! Please note: Our dining room facilities are not suitable for children under 12 after 7.00pm. However, an early dining option is available at 6.00pm to accommodate children in the dining room if accompanied by an adult. It should be stressed that children should have concluded their meal by 7.00pm. Children’s menus are also available in the pub. The management reserves the right to close the dining room without notice if affected by unforeseen circumstances. Friday and Saturday nights are available on Dinner, Bed and Breakfast basis only. Single rooms are available. 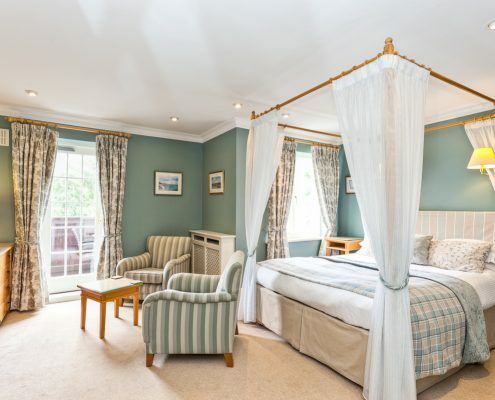 Double rooms may be let as singles, subject to availability, at a surcharge of 50%. Children occupying own rooms are charged full rate. Please see our special offers page for any deals that may apply to your enquiry. Dogs are charged at £10.00 per night in standard Hotel rooms. Well behaved dogs on a lead are welcome in the reception area, Walkers bar and outside patio. Dogs are not permitted in the Dining Room, residents lounge or lounge bar. If your dog makes excessive noise or causes disturbance to other guests, we may politely ask you to move your dog into your car. Please note we allow only one dog per room and please be aware your pet may not to be left unattended in your room at any time. We provide packed lunches (please order the night before) and stock OS Maps for those who require them.